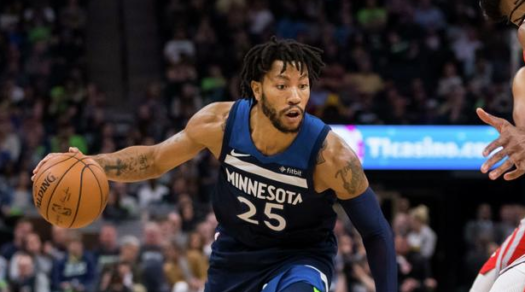 On Wednesday, October 31st, 2018, NBA star Derrick Rose scored a career-high of fifty points. Coaches, players, and NBA fans everyone stormed social media commending him for his accomplishments. This career-high score was extremely ground-breaking because he has had multiple knee surgeries and seemed to have never played the same after, until now. Prior to his knee surgeries, in 2009 he was named Rookie of the Year and MVP in 2011 while playing for the Bulls. His average points scored per game has been the highest it has been since his ACL tear at about 18.8. So, this career high was more than extraordinary. After his run playing for the Chicago Bulls, he had a disappointing season with the Knicks, then got traded to the Cleveland Cavaliers all-star team only to take a leave of absence, and finally he got traded to the Minnesota Timberwolves. Signing Derrick Rose may have seemed almost as a favor from the coach, but it sure did pay off for the Timberwolves. Thanks to Rose, they secured a 3-point win against the Utah Jazz. Utah had acquired Rose, but he never suited up for them due to all of his injuries making this win slightly better. The Timberwolves record is not bad with their win to loses tied at 4, but his win definitely helped them. Overall, Rose’s career high was a pleasant surprise to everyone and gave hope to those who have struggled with injuries in the past. It truly shows his greatness and how much of an asset he is to the league.